So, let’s get real here for a minute. Does the title “100 Fabulous Fall Projects” bring out your inner eager beaver and motivate you to dig out that fall decor and head to the craft store for supplies for all of those ideas running around in your head? Because, for the most part, it seems like people are either one way or the other. They either practically drive off the road in excitement when they see the Starbucks sign announcing that pumpkin spice lattes are back or they practically drive off the road in absolute disgust because as far as they are concerned nobody should be drinking anything except iced coffee for at least another month! But, we’d like to introduce you to a third category. It’s where you’ll find us. We ‘fall’ (like how we did that there?) somewhere in the middle. We aren’t in any hurry to let go of these longer, warmer days. We’re still enjoying the sound of flip flops echoing through the house and visits to the farmer’s market. And yet, with the subtle hints of Autumn showing up all around us we feel that tug on our hearts towards all things cozy. So, whether you are fighting the coming season tooth and nail or you are happily pulling out all of those fake pumpkins or you are like us and have a flip flop in one season and a leather riding boot in the other we want you to know that we understand. Really, we do. And here are oh…about 96 other amazing projects to inspire you…or overwhelm you…we won’t judge either way! 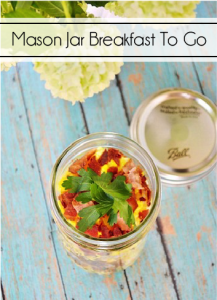 If you want to see more of these ideas and inspiration (and you know you do!!) visit these talented ladies and we know before long that rogue flip-flop wearing foot will be ready to join it’s riding boot clad other half planted firmly in the next season! We hope you are enjoying a fabulous holiday weekend and we look forward to meeting you right back here next time at the Fence! 32 Comments on "100 Fabulous Fall Projects"
I totally fall somewhere in the middle too! If we lived somewhere cooler where it felt anything like Fall before Halloween, I might be more in the first group. 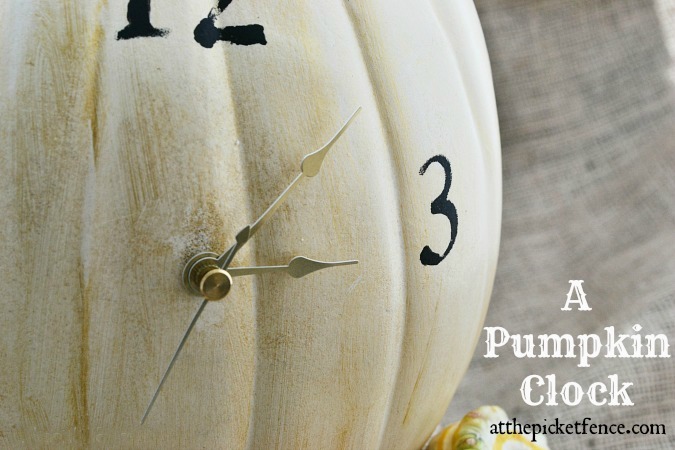 Your fall projects are gorgeous! Love that topiary! 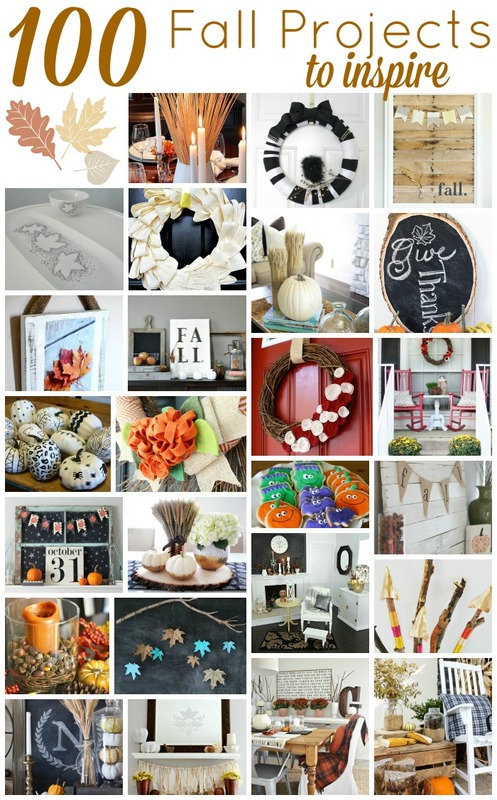 100 Fall Decor and Craft Ideas - Homey Oh My! 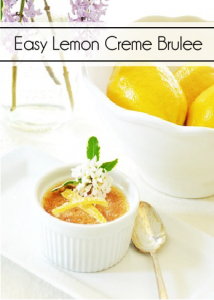 Ladies, you know I adore you — and your fabulous projects. Wish we could meet up at the fence and catch up over a Pumpkin Spice Latte. HUGS! Beautiful projects, ladies!! 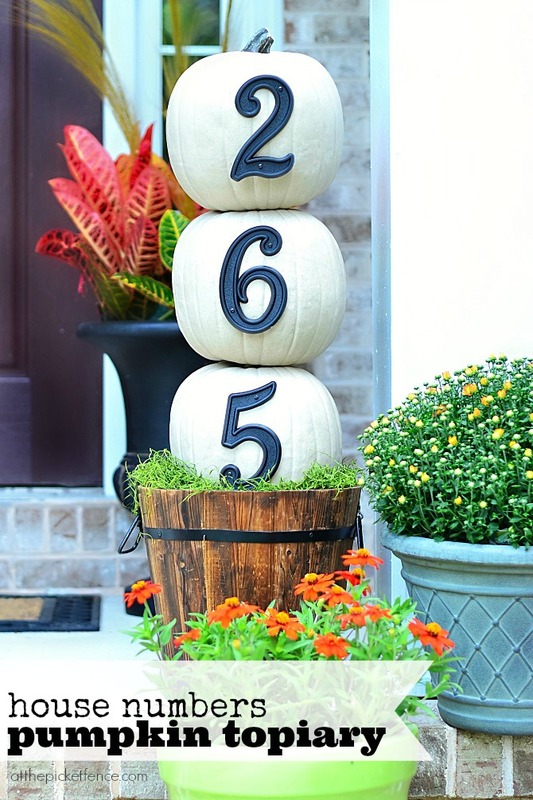 I NEED one of those pumpkin topiaries!! It was fun being on “tour” with you today! Have a great week! OK, I’m still in shock that we are discussing fall projects but yet reality is, September is here! Oh my goodness! 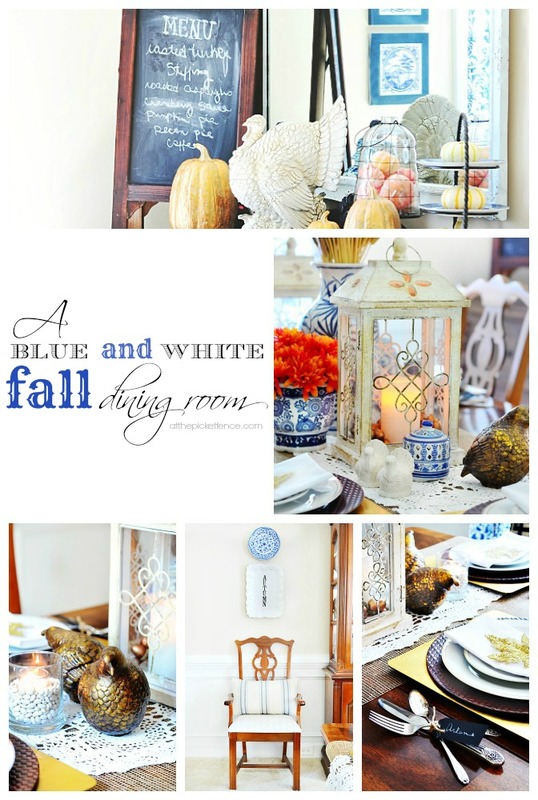 I pinned your dining room last year and go back and drool over it all the time. Somehow I totally didn’t make the connection that it was yours. One of my favorite Fall set-ups EVER, hands down!! I’m always feeling a bit slow to get into fall because it never feels cool enough here till well into November so I try to put my own spin on fall and keep it light. 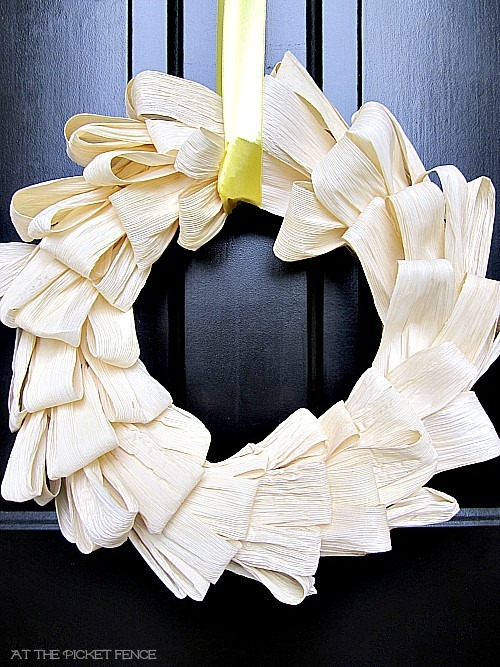 Your corn husk wreath is one of my faves of all time! Thanks for doing this fun hop with us! It has been so much fun! 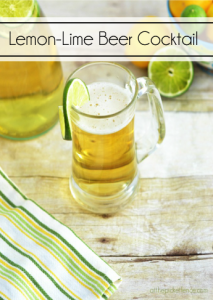 So great to be a part of this blog hop with you both!